The important thing to keep in mind is that these pumps and motors will eventually wear out and the hoses will start to leak. You can postpone that day by having a power steering service from time to time. We will drain the old fluid and replace it with fresh fluid. This removes water and contaminants that can corrode power steering parts. Ask us for the recommended change interval. What about the mechanical steering parts? Is there anything you can do to maintain them? Yes. 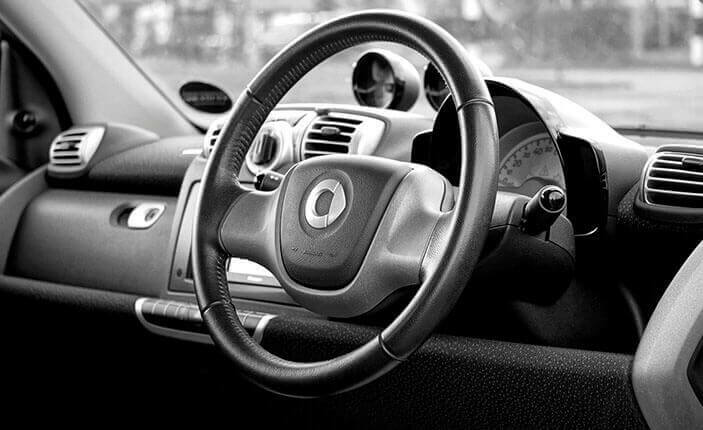 If any of the steering parts can be lubed, our technicians will take care of that with a lube, oil and filter service. Other than that, just watch for signs that parts are wearing out — things like loose steering and uneven tyre wear. Worn parts can be replaced to get you back on the road. Sometimes parts can be bent or damaged from hitting potholes, curbs or rocks. It’s important to take care of these problems early on. If you neglect them, the damaged parts stress other attached components which starts a chain reaction of damage. Steering maintenance is pretty straight-forward: Replace power steering fluid as recommended and fix worn or damaged parts right away. It’ll save you big bucks in the long run.